The bladder cancer experts at Duke Prostate and Urologic Cancer Center bring you today's cutting-edge treatments to help you reach a healthier tomorrow. Our specialists are leaders in the diagnosis and treatment of bladder cancer as members of Duke’s nationally ranked urology and cancer programs. The Duke Prostate and Urologic Cancer Center is a collaborative powerhouse, using the latest leading-edge medical, surgical and radiation therapies to provide comprehensive and personalized care. As a top referral center for bladder cancer, we specialize in hard-to-find and difficult-to-treat cases. Ready for an appointment? Please visit Duke Health. Urine cytology: Urine is analyzed under a microscope to check for cancer cells. Cystoscopy: A narrow tube called a cystoscope is inserted through your urethra (the tube through which urine exits the body) to enable your doctor to look carefully at the internal surface of your bladder. Your doctor may take a tissue sample at this time. Advanced imaging: Visualizes structures in your urinary tract and surrounding area using CT, MRI, ultrasound or X-ray imaging. If you have confirmed bladder cancer, cancer-staging tests may also include CT, MRI, PET scans and chest X-rays. The Duke Prostate and Urologic Cancer Center bladder cancer specialists use the latest medical and surgical advances to treat bladder cancer at every stage, including non-invasive, invasive and metastatic disease. Sophisticated techniques target treatment of your bladder tumor while minimizing disruption to healthy tissue. If needed, our skilled surgeons can perform complex surgery and reconstruction suited to individual patient circumstances and preferences. Transurethral resection (TUR): A minimally invasive surgery without any incisions that utilizes a thin tube inserted into the urethra to reach the bladder and either laser or electrical current to remove and kill tumor cells or abnormal tissue. This is typically the standard-of-care for non-invasive tumors that have not spread beyond the superficial layers of the bladder. It may be followed by intravesical (within bladder) therapy administered directly to the bladder through a catheter to kill cancer cells. Radical cystectomy: Surgery that involves the removal of the whole bladder as well as nearby lymph nodes and subsequent urinary tract reconstruction. This is typically the standard-of-care treatment for localized cancers that have spread beyond the superficial layers of the bladder. Partial cystectomy: In certain circumstances, surgery may be performed that removes only part of the bladder that contains the tumor while preserving the rest of it. Orthotopic neobladder: A piece of small intestine is used to create an internal urine reservoir that is connected to your urethra. This provides the closest approximation to the natural bladder in the ability to store and excrete urine under voluntary control. Continent catheterizable pouch: A piece of large intestine is used to create an internal urine reservoir that is drained by passing a catheter through a small opening in your body wall every 3-4 hours. Ileal conduit: A small piece of intestine is used as a conduit to store and drain urine into a bag on the abdomen. Chemotherapy: First-line treatment of bladder cancer that has metastasized to the lymph nodes, lungs, liver and other parts of the body. We also use genetic profiling of patient-specific tumor tissue to personalize a treatment plan targeting specific mutations. Immunotherapy: For those patients with advanced metastatic bladder cancer, treatment with FDA-approved immunotherapy drugs may be recommended. Many new therapies are available that activate the patient’s own immune system to kill cancer cells. Patients at all stages of disease may benefit from the multiple ongoing immunotherapy trials conducted at our center. Our patients also have access to an enhanced recovery program— one of only a handful of such centers in the United States — that adheres to guidelines to keep you healthier and get you back to the comfort of home sooner after major surgery. This program is designed to reduce your in-hospital time and lessen the chance for complications by promoting early feeding and physical activity while maximizing pain control using a multimodal approach that reduces the need for opioids. We personalize your treatment plan and care to your specific form of bladder cancer. Our strategy ensures that you receive the most effective treatments available. Our urologic, radiation and medical oncologists work together with ostomy and specialty nursing and psychologists to carefully monitor your cancer and design a comprehensive treatment plan. Because each patient’s cancer possesses unique characteristics that allow for a diversity of behaviors and outcomes, we take a personalized approach to determining the best therapies for each patient. As part of a precision medicine approach, we may utilize patient-specific urine, blood or tissue-based genetic tests to help inform treatment decisions. Clinical research is critical to our collective mission of reducing the burden of bladder cancer by designing better treatments and preventive approaches. Duke clinicians and researchers are involved in ongoing projects to individually tailor therapies to a patient's unique characteristics, including clinical, social, cultural, ethnic and genetic factors. Our collective Duke team lead the way in ground-breaking bladder cancer research. For example, our physician-scientists were the first to identify and examine the role of PD-L1 in bladder cancer and its association with adverse outcomes. This provided the basis for the new immunotherapy agents that exist today. We also led the first clinical trials of two novel treatments using heat to treat non-invasive bladder cancer. 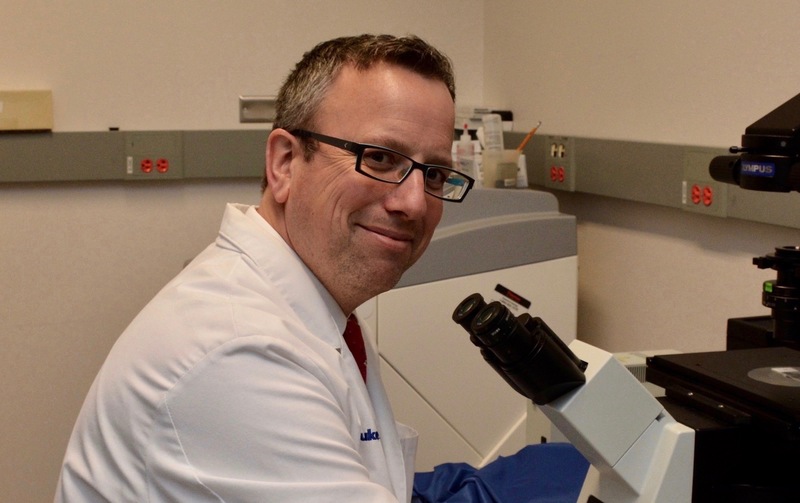 Committed to changing the rules on cancer, our bladder cancer specialists are leading national research efforts while breaking down traditional barriers to rapid innovation and novel treatments.